When you want to become a big name in the field of architecture it is very important that you maintain a virtual presence through which you can reach out to hundreds of thousands of your customers as well as potential customers. You may also see Real Estate Website Templates. With a number of free and premium Website Templates available for architects the work is made much easier and smoother. By making use of these premium templates you can make your services appear to be of top class which will result in your business growing by the day and the night. 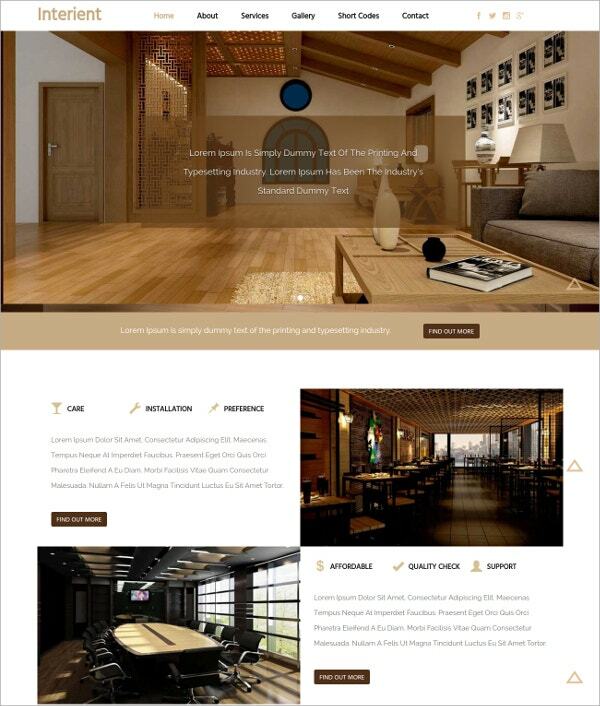 The architect party website template can be used by web designers to design and create professional looking websites for architects who specialize in building mansions and buildings that are meant to arrange and celebrate parties. It comes in dark colors. 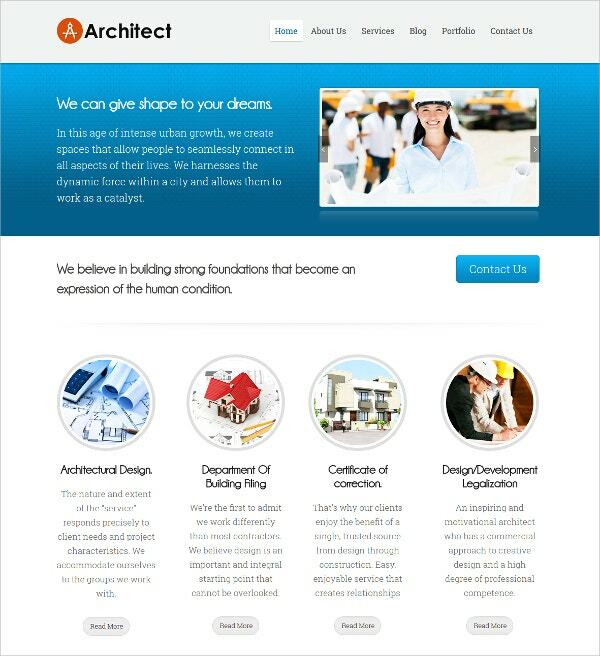 The building architect website template can be used as a theme for any website that is supposed to be used as a portfolio or home page for any architecture related company. It comes in bright as well as soothing colors. Very clear from the name, the architecture wordpress website template comes with the feature of being used as a wordpress theme. It also comes in HD quality. It carries a variety of pictures that show different works of modern architecture. 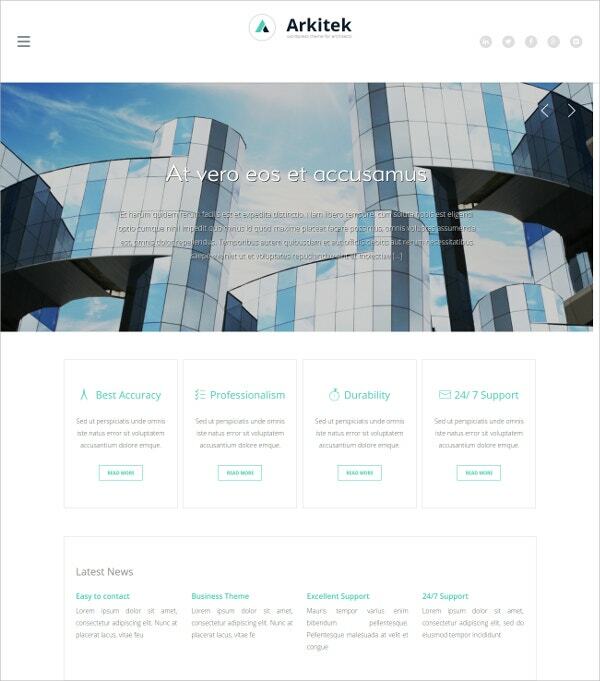 The joola architecture website template is very beautiful to look at and falls under the category of joomla website templates. It comes with the feature of HTML coding. 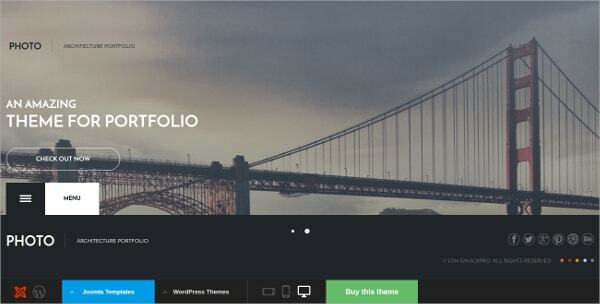 The joomla architecture website template also carries an upper transparent background image. The architecture company website template is very professional to look at. It comes in Full HD quality and also with high resolution. 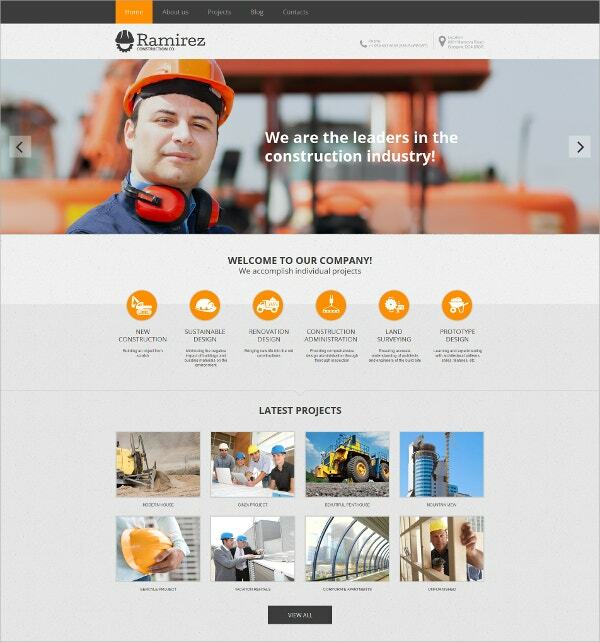 The architecture company website template is highly used nowadays by professional companies specializing in the field of architecture. 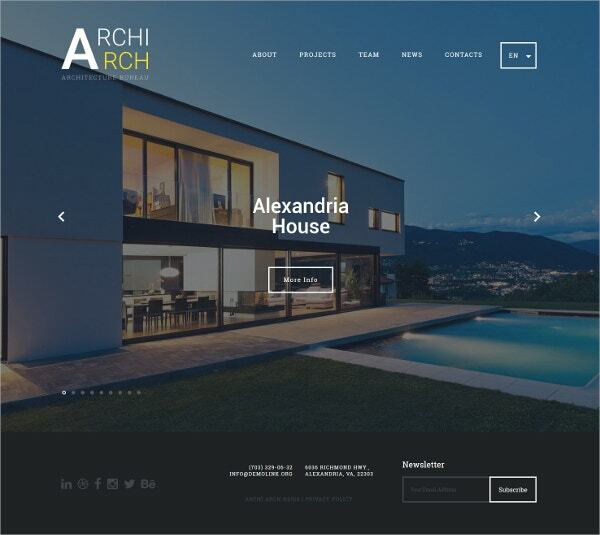 The architecture field website template has been specially designed and created for those individuals or architecture business share holders who own and run their own architecture business company and release new styles of architecture works in the global designing market. 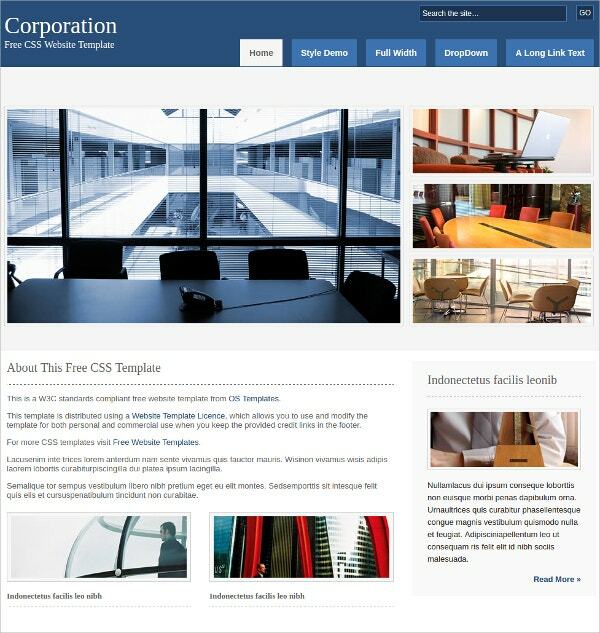 The corporate architecture website template can be used by any type of company or industry that is related or specialize in the field of architecture. 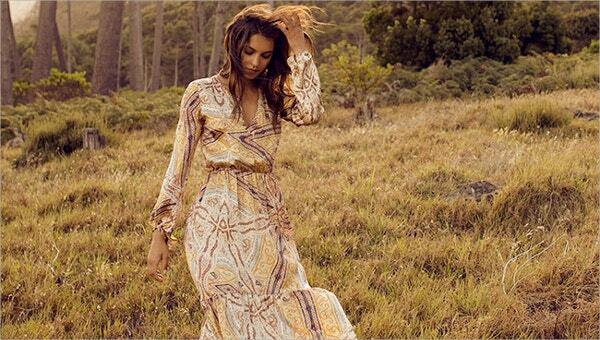 It carries the look and feel of professionalism and is therefore a very good choice. 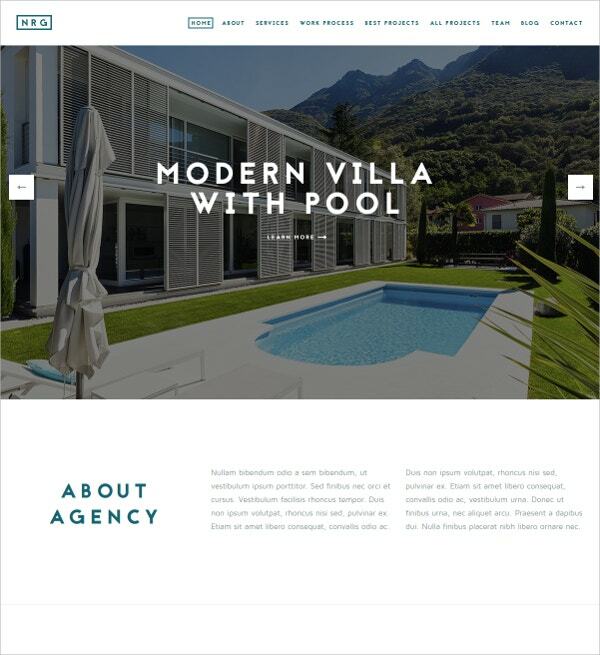 The studio architecture website template can be used by web designers to design and create amazing portfolio websites or web page for an individual who wants to specialize and publish his/her ideas, designs and works in the field of architecture. 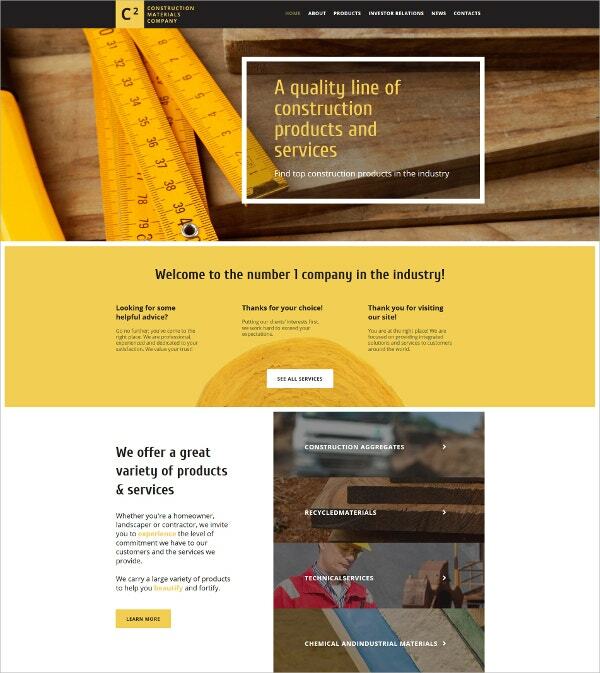 The responsive architecture website template comes with an amazing look and feel. It is highly responsive in its nature and is also very attractive to look at. The responsive architecture website template carries a beautiful Full HD quality background image. 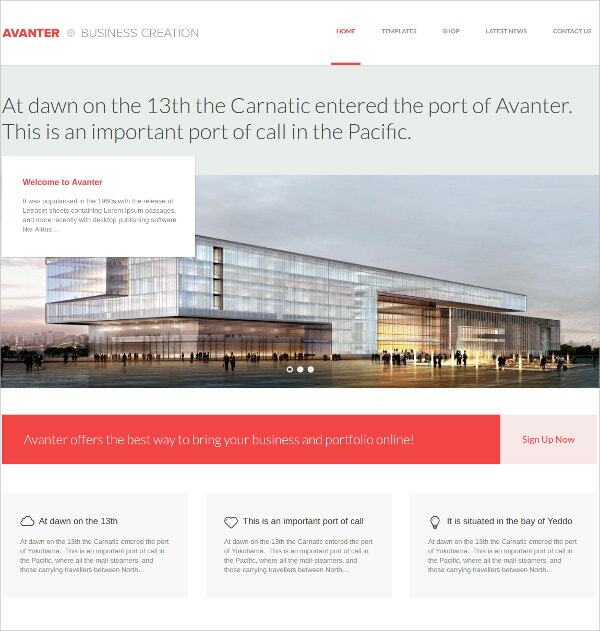 The full architecture website template has a very corporate as well as creative look and feel. It can be used by an individual to create his/her portfolio and also by some corporate company that wants to create a home page for themselves. The bootstrap architecture website template falls under the bootstrap category of templates. It comes with the features of HTML as well as CSS coding. The bootstrap architecture website template has the look and feel of professionalism as well as beauty. 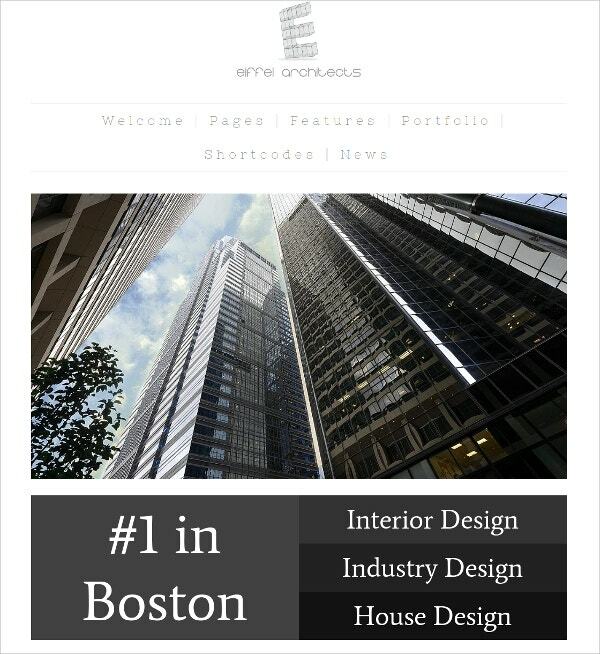 The architecture company website template comes in Full HD quality and also in high resolution. It comes with the features of wide display. 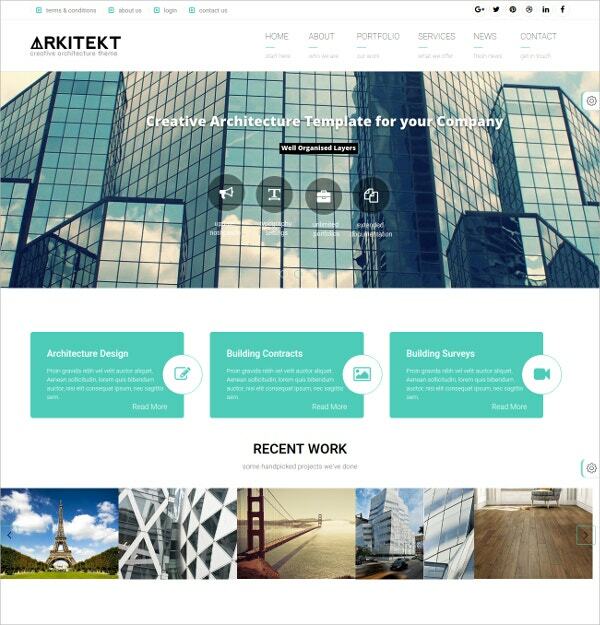 It can be used as a theme for any website that is owned by architecture related company. The interior architecture website template can be used by web designers to design and make website that are related to interior designing. Such websites are usually owned by interior designing architecture companies. It has a very professional look and feel. The material architecture website template comes with HD quality images of various materials or equipments that architects always require when working on their architecture projects. It comes with the feature of wide display and can be used by individual architects also. 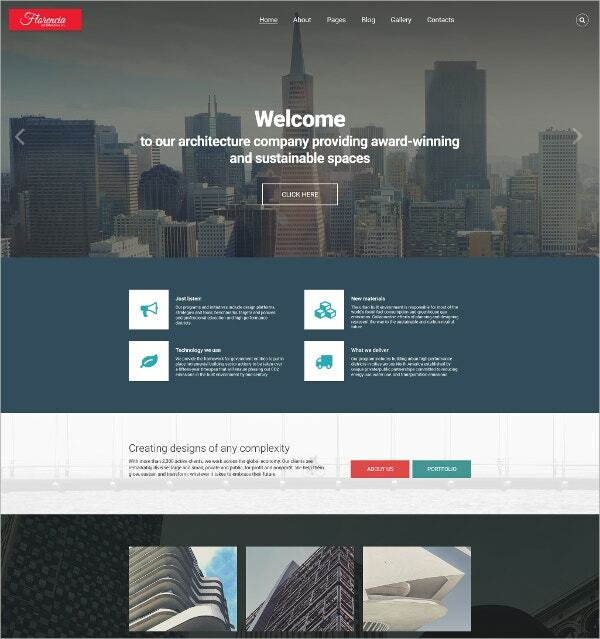 The one-page architect website template is suitable to be used by both individual architects as well as any architecture related company or industry to create a self portfolio website or web page and publish their various architecture designs and works in it. Just as the name says, the professional architecture website template comes with a highly professional and corporate type look and feel. It carries a brilliant looking upper transparent background image that gives it an even more professional look and feel. 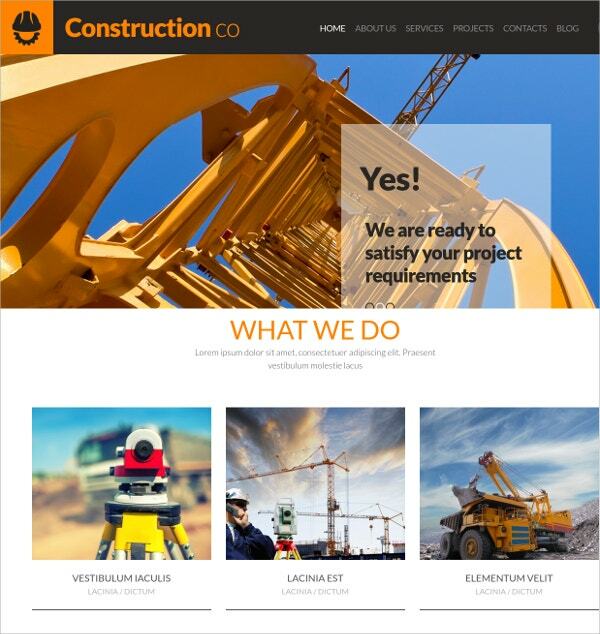 The construction architecture website template comes with a professional look and feel and can be used by architecture related industry that is well known not only for their works of architecture but also for their way and method of working. The premium architect website template can be used as a theme for any portfolio for a company that specializes in architecture works of interior designing that makes a house look beautiful and fashionable as well. It has a beautiful look. Like the name says, the creative architecture website template comes with a very creative and beautiful look and feel that has the ability to attract any person. 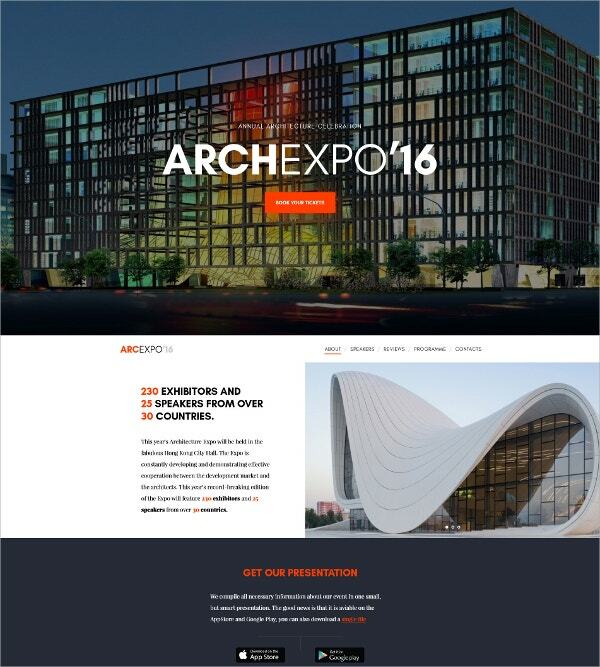 This architect website template is highly used nowadays to make websites for architects. Moreover, the Website Templates available for architects with their highly customizable drop down menus, text color, fonts are the ideal tools to professionally present your business, so that more traffic is attracted to your website, which in turn translates to more revenue generation and profit. The best part about these templates is that a number of them are available for free which means you get multiple color schemes, preset pages, stunning color schemes and awesome images to be used in you website without spending a penny out of your pocket. 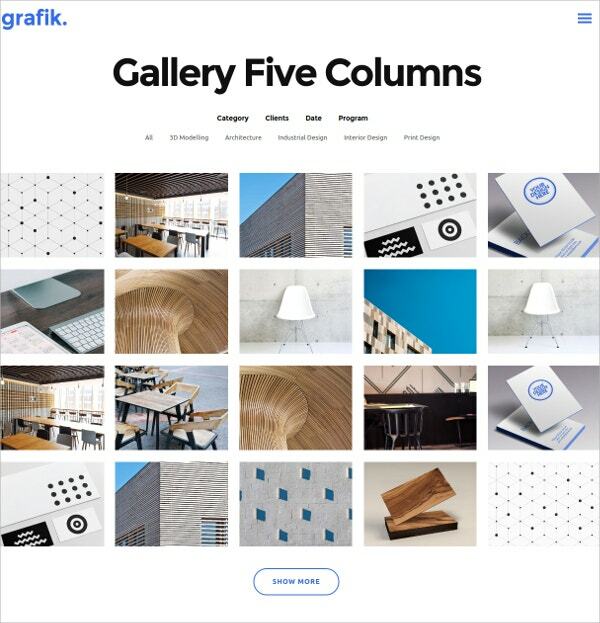 Go and check these wonderful Responsive Website Templates available for architects today and create stunning websites which would leave your customers wanting for more. Architect website templates are very beautiful to look at and help to bring out the true nature and beauty of architecture and interior design in front of the people. They usually come in HD quality and can be used for web designing.